Posted on 08/19/2015 by Mickey McCarter	in Live Review and tagged Australia, DJ, DJ Michael Woods, dreampop, Echostage, EDM, Netflix, Orange Is the New Black, Ruby Rose. 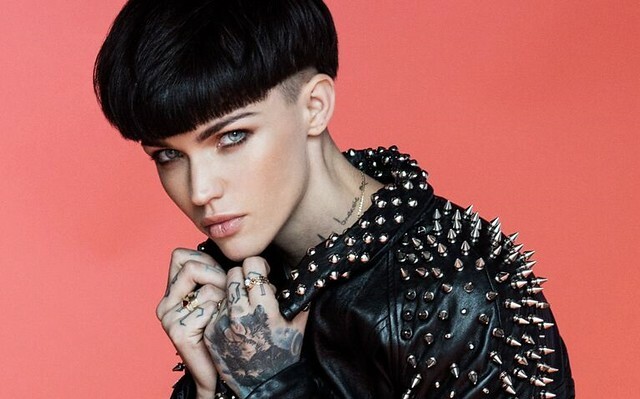 Australian actress and musician Ruby Rose is best known for her role in the Netflix series “Orange Is the New Black,” but she’ll bring her musical chops to Echostage on Friday, Sept. 4. In a live performance, Ruby Rose will perform a few singles, including “Guilty Pleasure” and “Break Free.” Then she’ll hit the decks as a DJ. Her more recent solo number “Break Free,” a ballad that concerns itself with gender roles. Over the course of the video, Ruby Rose changes from overtly feminine garb into something quite more androgynous. Joining Ruby Rose is English producer and DJ Michael Woods. Tickets are available online. Posted on 08/18/2015 by Mickey McCarter	in Live Review and tagged blues, folk, Gin Wigmore, New Zealand, Rock and Roll Hotel. 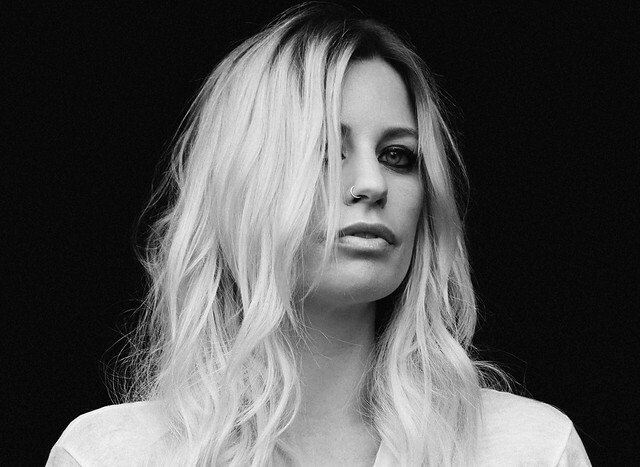 Gin Wigmore seems like she was custom-tailored for a Quentin Tarantino movie. I say that because Gin has a penchant for gritty cinematic capers where something clearly has gone awry in the story as depicted in new videos for her third album, Blood to Bone. The striking 29-year-old New Zealander also seems like she would be at home in a modern Tarantino gangster flick with her intense eyes and bluesy voice. Indeed, Gin sings some bluesy folk tunes on her new album, due out on August 28 via Mercury Records. Gin is touring in support of the new album, and she visits the Rock and Roll Hotel in DC on Friday, Sept. 11. Blood to Bone marks a change in direction for Gin, and I think she’s going to find a receptive audience next month. “The whole idea for this album was to write songs that pushed me beyond my comfort zone. There were so many genres of music that I was not ready to appreciate prior to making this album. It’s like a whole new part of my palette and appetite for music opened up before embarking on the writing of Blood to Bone,” Gin said in a press release. “I liken it to when you’re a kid and can’t bear the thought of Brussel sprouts and mushrooms. With maturity, you find ways to make it work in your life to often be one of the tastiest items on your plate — you just have to be ready,” she said. Posted on 08/17/2015 by Jeremy Bailey	in Live Review and tagged NEEDTOBREARHE, surfing, Switchfoot, Wolf Trap. On a pleasant evening at Wolf Trap, Switchfoot gave the waiting multitudes camped out on the lawn and seated in the orchestra sections their money’s worth. This show marked the first time that Switchfoot was not the headliner. They ceded that distinction to NEEDTOBREATHE, as part of what was dubbed, Tour de Compadres. Also playing were Colony House and Drew Holcomb & The Neighbors. More on that later. The forecast said rain, but there was palpable relief it didn’t live up to the prediction. So instead, we got an almost perfect night to sit outside on the lawn or grab a seat close to the stage. Posted on 08/17/2015 by Mickey McCarter	in Live Review and tagged Hamilton Live, Howard Jones, Los Angeles, Marina V, Moscow, singer-songwriter, soft rock. Singer-songwriter Marina V may have immigrated to Los Angeles from Moscow, but the redheaded siren sings universally buoyant songs that sound as if they could have come from a chirpier Tori Amos if it weren’t for the sometimes barely detectable European accent in her voice. 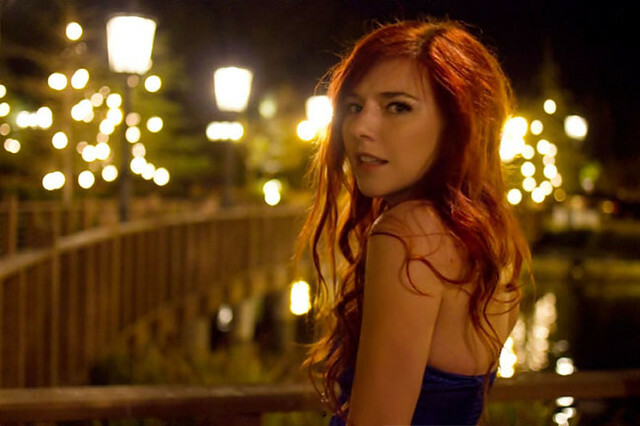 Born Marina Verenikina, she moved to the United States as a teenager and began making music. Her most recent album, Inner Superhero, features 10 upbeat songs of asserting yourself and living life to its fullest. Marina V is touring in support of the new album, and she makes a few stops on the tour as the opener for UK synthpop legend Howard Jones. One such stop occurs tomorrow, Tuesday, August 18 at the Hamilton Live. As you can see from her video, Marina still has strong ties to Moscow, and she films videos and performs there regularly. Don’t miss this international chanteuse when she opens for Howard Jones at the Hamilton. Tickets are available online. 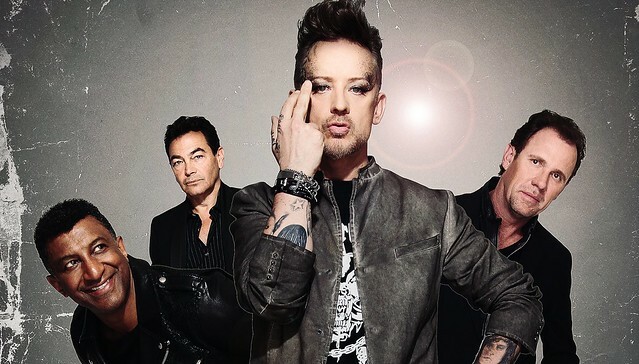 Posted on 08/13/2015 by Mickey McCarter	in Live Review and tagged Boy George, Culture Club, England, new romantic, new wave, reggae, Wolf Trap. Boy George strode onto stage in an elaborate helmet and a black cloak. The sparkling gold headpiece looked as if he might have nicked it from an expensive Hollywood production of the story of Cleopatra. He grinned mischievously at the audience at Wolf Trap. With that, the cheeky singer set off into a performance of “Victims,” a show-stopping tune from his band Culture Club. And it was absolutely thrilling. When the beat dropped in the song, as it famously does shortly after the 2-minute mark, the audience was completely enraptured by the ode to being a thrall to love. You could feel goosebumps. Posted on 08/12/2015 by Mickey McCarter	in Live Review and tagged Carpark Records, dreampop, GEMS, new album. Dreampop duo GEMS debuted a new single via All Songs Considered on NPR Monday, announcing the release of their first full-length album, Kill the One You Love, due out on Oct. 30 via Carpark Records. The single, “Living as a Ghost,” is a soaring evocation of the search for fullfullment with sweeping synths countered by a slightly melancholy backbeat. 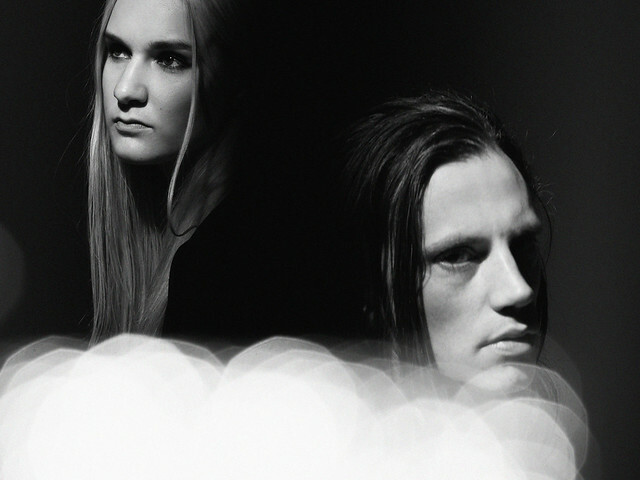 Originally from DC, bandmates Lindsay Pitts and Clifford John Usher recently moved to Los Angeles. But they clearly kept some connections here, as evidenced by their upcoming release on DC-based Carpark. GEMS have not yet announced a tour, but we predict they return for a show sometime this year. “Living as a Ghost” is “the culmination of a process that we in DC have watched. They are a twosome meant for each other, with Usher’s guitar and electronic production punctuating Pitts’ soaring, swirly shimmer,” said NPR’s Bob Boilen. The album is available for preorder on Carpark Records’ website. Posted on 08/10/2015 by Jeremy Bailey	in Live Review and tagged Alternative rock, Meant to Live, NEEDTOBREATHE, surfers, Switchfoot, Wolf Trap. 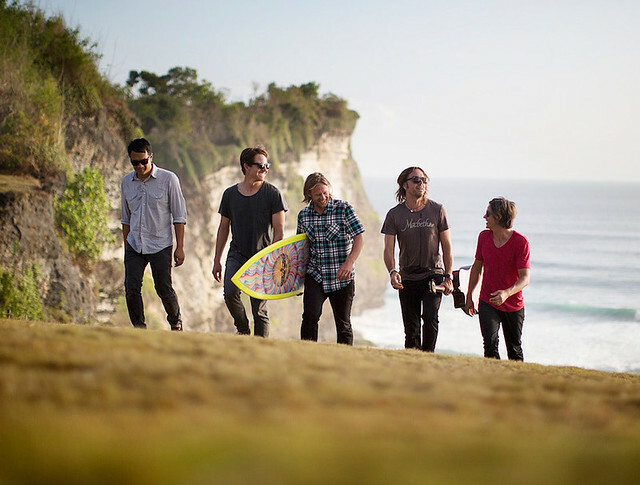 Switchfoot, eponymous surfers, comes to the Filene Center at Wolf Trap on Tuesday, August 11. They are among three bands opening for NEEDTOBREATHE. The other openers are Colony House and Drew Holcomb & The Neighbors. Switchfoot, hailing from San Diego, achieved fame with their 2003 single “Meant to Live”. Largely marketed as a Christian rock band early in their career, they have released nine full-length albums to date. Their most recent is 2014’s album, Fading West. Formed in 1996, Switchfoot’s name comes from the act of a surfer switching their feet to change directions. Their other major hit, “Dare You to Move”, was featured in the film, A Walk to Remember. Jon Foreman (lead vocals) also has a solo project coming out this year, called The Wonderlands. It consists of four EPs, titled Sunlight, Shadows, Darkness and Dawn respectively and each released throughout the year. Sunlight and Shadows have already been released and are available for purchase. Tickets are still available! Get yours here.